A good jogging stroller allows you to keep your favorite exercise routine, while your baby enjoys frequent access to fresh air, sunshine, and a fun change of scenery. There are numerous jogging stroller models available, so whether you plan to jog around the block, brave your favorite hiking trail, or run a 5K, there is an option out there for you. ReviewLab has searched out and sorted through hundreds of jogging stroller models to provide you with the best options. We have based our selections on elements important to parents, like construction, brand, quality, ease of use, and terrain capacity. Read more about our methodology. The Baby Jogger City Mini checks all of our boxes for a go-to, all-purpose jogging stroller. It’s lightweight, sturdy, and easy to assemble, fold and use. It’s versatile enough to work in a variety of different settings, and it’s stylish enough to attract plenty of compliments. The Thule Urban Glide is sleek, stylish, and simple to fold up and stash away. It also maneuvers smoothly, and handles grass, gravel, and city terrain like a pro. Overall, it’s a great-looking, multi-purpose workhorse well-suited to many lifestyles and needs. 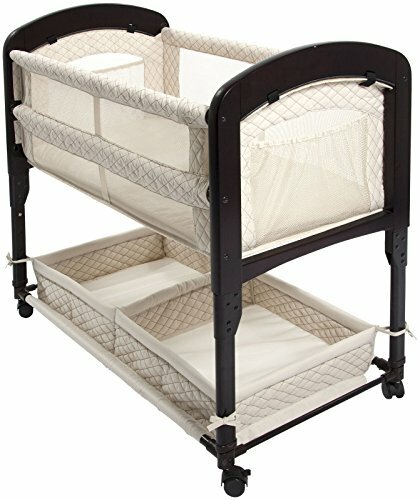 Just looking at the price, you may not expect much from the Baby Trend. But you’d be wrong! This jogger is solidly built and simple to assemble. It also offers a smooth ride and easy maneuvering, as well as a few extras you’d expect on a more expensive model. While a bit pricier than the Baby Trend Expedition, the Schwinn Turismo Swivel still offers great value. This lightweight, yet sturdy model folds easily, handles snow, gravel and uneven pavement well, and looks stylish in the process. If you’re an active parent of two small children, you can’t go wrong with the Baby Jogger Summit X3. This stroller is a breeze to push and to fold, it’s well-constructed, and it’s durable enough to sail through an intense jogging schedule. 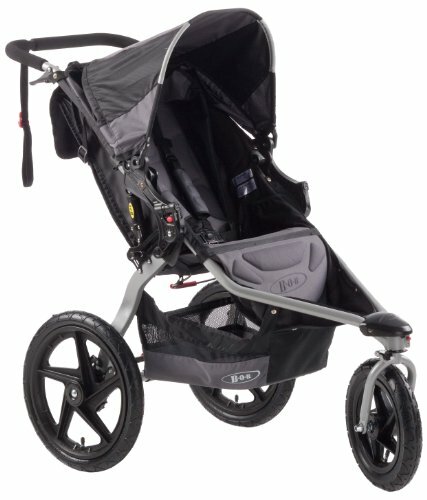 The Joovy Zoom 360 Ultralight is idea for those looking for a stroller with both muscle and finesse. This model is simple, streamlined, and lightweight, but it’s also strong, sturdy, and stable. The Bob Revolution SE may look sleek and elegant, but it is built like a tank, and can handle grass, gravel, uneven pavement, curbs, twigs, and rocks with nary a hiccup. It also boasts exceptional maneuverability and an easy-to-fold design. If you plan to exclusively use your stroller on a smooth, level, paved surface, you might want to consider a lightweight model with a fixed front wheel. If you live in a hilly area, you’ll want to look for an option that features a hand brake. If you plan to take the stroller on hiking trails, you should look for a sturdy model with rugged tires, good maneuverability, and quality shocks. First and foremost, look for models that specifically accommodate your baby’s weight and size. If your baby very young (or not yet born), an option that comes with or comfortably accommodates a car seat is a must. If your baby is old enough to sit up on his own, you’ll want to consider factors like feeding trays, storage, and adjustable harnesses. To keep baby comfy and safe on rides, look for models with a comfy, but secure harness; plenty of headroom for baby (particularly if your child is older, or especially tall); and a canopy that limits sun exposure and keeps baby cool. Consider handle measurements. Your stroller’s handle should comfortably accommodate your height. If you are especially short or especially tall, or if people of differing heights will be using the stroller, an adjustable handle will be your best bet. Do you plan to take your jogging stroller to the grocery store as often as you take it on the trail? If you have multiple uses in mind for your stroller, look for a model that’s compact and lightweight, maneuvers easily, and has a front wheel with both locking and swiveling options. Jogging strollers range widely in price. You can expect to pay about $80 on the lowest end, and $600+ on the highest end. Price differences have less to do with features and amenities, and more to do with the stroller’s brand, the quality of its materials, and the level of detail and craftmanship used in construction. For example, you might come across a $200 stroller that features adequate suspension and basic maneuverability, and a $600 stroller with exceptional suspension and superb maneuverability. This is good news – while it’s preferable to have a higher-quality jogging stroller, it is possible to find a good model at an affordable price. If you’re looking for an all-purpose jogging stroller that’s lightweight, stylish, and very user-friendly, the Baby Jogger City Mini is your best bet. It covers the basics; it’s easy to fold, it fits well into a number of different trunk spaces, it steers well, and it glides along smoothly on most surfaces. It also has a few extra bells and whistles, like a highly adjustable seat and an adjustable handlebar. Of all this stroller’s benefits, users particularly appreciated its low-profile design, one-handed folding, and stylish look. Large canopy. 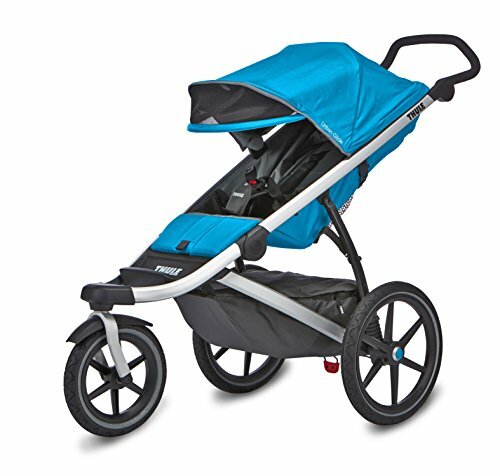 Users were impressed with the Baby Jogger Mini’s oversized UV+ canopy, and how well it protected their children from the sun. They also liked the “peek-a-boo” canopy windows, as it allowed them to easily monitor their child from different angles. Lightweight all-terrain wheels. The Baby Jogger Mini’s wheels are plastic, making them lightweight, and ridged, allowing them to securely navigate many different terrains. Comfortable, highly adjustable seat. 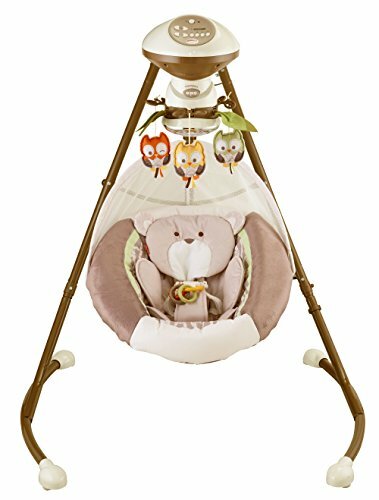 The seat is plush for added comfort, vented for temperature control, and adjustable to a near-recline, so your baby can sleep during the ride. Limited storage. 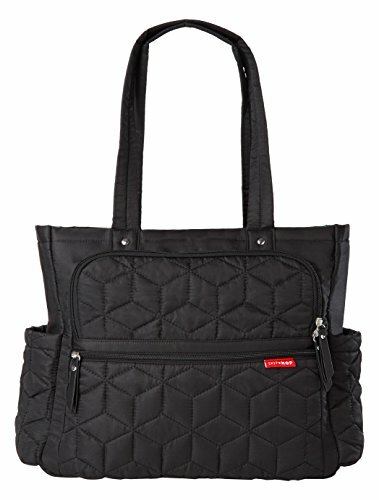 Users noted that the provided basket was too small for a larger diaper bag, and that hanging bags from the handle could . Also, while snack trays and parent trays are available for this model, they must be purchased separately. Awkward to unfold. While folding is quick and easy, unfolding is a more difficult, two-handed process. Most users only found this to be a mild inconvenience. Not ideal for serious runners. While this stroller is a great option for everyday use, as well as long walks and light jogging, its limited suspension and plastic wheels won’t stand up to the strain of frequent, long runs. We love the Thule Urban Glide for a variety of reasons. Much like the Baby Jogger City Mini, it’s stylish, it’s lightweight, it has a low profile, it fits well into even the smallest car trunks, and it’s easy to fold. It also has an oversized canopy to shade baby from the sun. Unlike the Baby Jogger City Mini, it has durable bicycle tires that grip surfaces well, and it has a spacious storage compartment. In spite of these advantages, the Thule had some mechanical issues that gave the Baby Jogger an edge. However, we still think it’s a great choice for an all-purpose jogging stroller. Locking and swiveling front wheel options. Use the swiveling wheel for easy maneuvering in stores or around tighter corners, and the fixed wheel position for straight, level pavement. Ergonomic, adjustable handlebar. The handlebar is comfortable to hold, and adjusts to several positions. 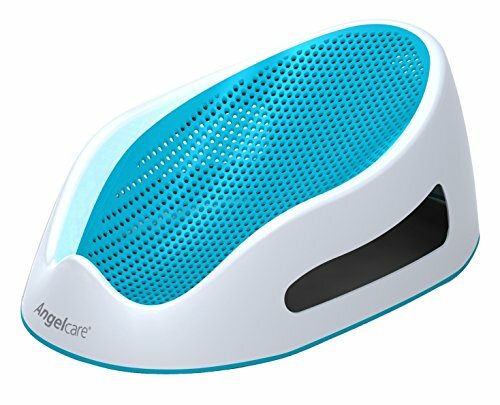 The pads are also washable for easy care. Narrow profile. A 25.5-inch door pass-through allows your stroller to fit easily through most doors, and down most shopping aisles. Full rear-suspension. The Thule glides easily over bumps, and can endure long, hard runs. Long profile. Some users observed that, while the stroller is narrow, it is long, making it a bit challenging to cleanly get around corners. Handlebar is not well-suited for shorter people. While many users found the handle user-friendly and helpful, some noted that it doesn’t lock into a low enough position to be useful for shorter people. Front wheel locking issues. Some users reported difficulty locking the front wheel in the fixed position. Others noted that the front wheel failed to lock straight, causing the stroller to list right or left. No hand brake. Some users found the foot brake awkward to use, and would have preferred a hand brake for better, more efficient control. However, other users preferred the hands-free foot brake. 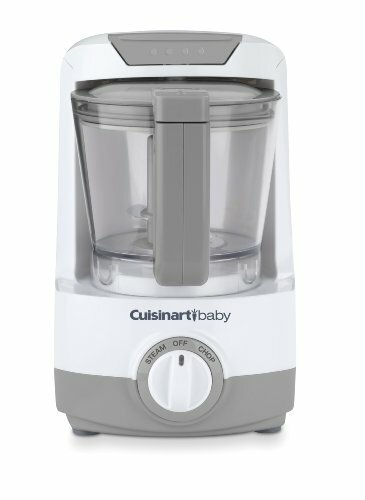 The Baby Trend Expedition offers a truly solid value for the price. A number of users found themselves pleasantly surprised by the stroller’s sturdiness and quality level. Many noted that they were far more than satisfied with the Expedition - in fact, they loved and highly recommended this model. They found it easy to assemble and easy to maneuver, and they appreciated how smoothly it rode over uneven pavement. They also appreciated the added features, like a locking front wheel option, and a spacious storage basket. Sturdy, solid construction. The stroller’s frame is constructed from lightweight, yet rugged steel. Numerous users noticed that the stroller felt stable and well-made right from the box. Large, ratcheting canopy. The canopy is spacious enough to provide adequate sun protection, and is adjustable for added functionality. Comfortable, highly adjustable seat. 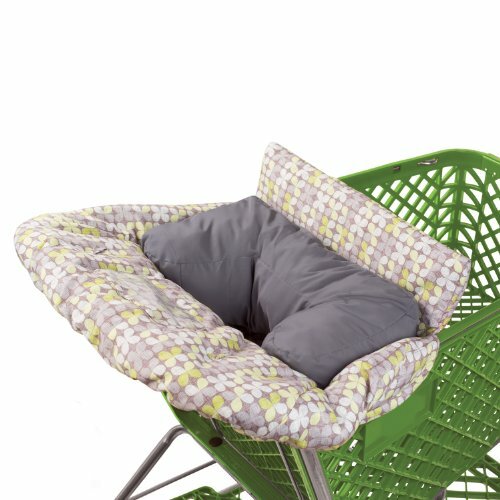 The seat is padded, and adjusts to multiple positions for added comfort while napping or sightseeing. Ample storage. This stroller’s large storage basket and mesh pockets allow you to stash your purse, cell phone, keys and other items, while the included snack tray gives baby space for a sippy cup and a a mid-ride snack. Bicycle tires for added traction. Ridged rubber bicycle tires grip surfaces and ride smoothly over bumps and grooves. Bulky and large. Users did notice that this stroller model was considerably larger and bulkier than other models they had used, and took up more trunk space. It should be noted that many still rated the stroller highly in spite of this inconvenience. Doesn’t fold easily. While the stroller is billed as having an easy, one-handed folding design, some users found it difficult to fold and unfold. While we didn’t feel that the Schwinn Turismo Swivel’s qualities completely justified the price gap between it and the Baby Trend Expedition, its consistent high ratings, sturdy build, smooth ride and easy-to-fold design still make it a great value for the price. 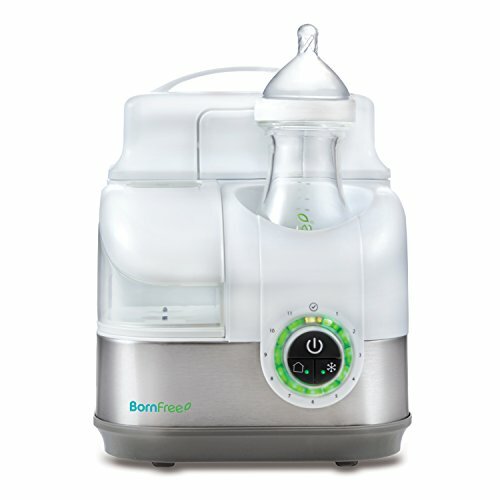 In general, reviewers found this model to be lightweight, stylish, and user-friendly. It handles gravel, snow and uneven pavement well, it’s almost too easy to push, and it includes a storage tray for parents and a snack tray for baby. Lightweight aluminum frame. Aluminum construction allows this stroller to come in at just 31 pounds, and helps it glide easily over surfaces. Wide-tread rubber tires. These tires grip the road, and help the stroller roll smoothly over uneven surfaces. Exposed spring suspension. This feature improves shock absorption, allowing for a smoother, safer ride over all different types of terrain. Built-in canopy speakers. Even though these are not stereo speakers, and they aren’t particularly loud, this is still a cool feature that small children are sure to enjoy. Large size when folded. The Turismo may fold easily, but it doesn’t fold compactly. In fact, it takes up large amounts of space. The front wheel does come off easily, which does save some space. Even so, Some users found it difficult to pack it into their cars. Front wheel instability. 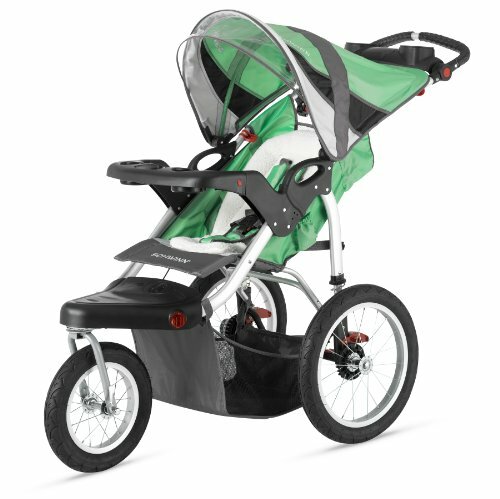 This stroller can’t be used in the front wheel swivel position while jogging or running - a fact which may reduce utility for some users. Some users reported that the front wheel stuck, or that it would not remain flush toward the front, causing the stroller to drift left or right. Many other users indicated no such problem. Can roll away swiftly on inclines. It’s important to note that, while this stroller’s easy-gliding feature is certainly an asset, it does have its drawbacks - it’s important to keep vigilant control of the stroller on even the slightest of inclines to prevent it from drifting. If you have twins – or simply two little ones close in age – getting out for fresh air and exercise becomes much more challenging, and much more important. A double jogging stroller is an ideal way to hit the pavement for a run, take a daily walk, explore nature, or simply hang out around town with two tiny tots. Don’t worry about the added bulk - today’s double jogging strollers are surprisingly lightweight, and easy to push, steer and control. 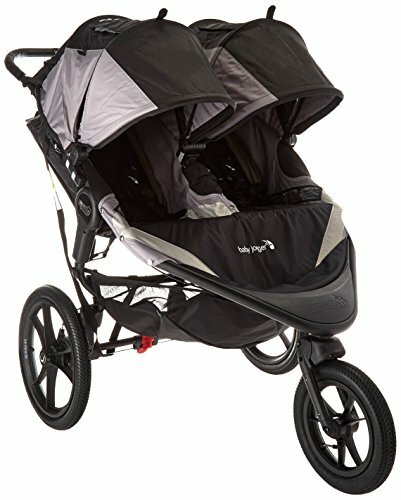 The Baby Jogger Summit X3 Double beat out some great competitors, for a variety of reasons. First, it’s highly responsive and unbelievably easy to push, even with two riders. It has all-wheel suspension, which makes it great for a variety of terrains. It has a 100-pound seat weight capacity, and it offers enough headroom for taller/larger children. But the main reason people love this stroller is its ultra-efficient, truly one-handed folding design. Easy, compact folding. Users noted that this double stroller folds more efficiently and compactly than its smaller, more slender counterparts, as well as some single jogging strollers. Comfortable seating. The Baby Jogger Summit X3 features seating that adjusts to a near-full incline for naps. The seats are vented for temperature control, and padded for maximum comfort. Large, protective canopies. Oversized, adjustable canopies protect your little ones from sun, wind, and rain, and feature a peek-a-boo window for easy monitoring. Hand brakes for added safety. Hand rear drum brakes offer parents better control. Having maximum control is an important factor when you are dealing with a large stroller - particularly on inclines. Remote front wheel locking mechanism. This is our favorite feature - it allows you to change the stroller’s front wheel from swivel to a fixed position and back again instantly, right from the handlebar. No stooping or impromptu arm workouts required. Pneumatic tires require maintenance. You will continuously need to monitor this stroller’s tires to ensure safe air pressure levels. A bit large and bulky. A bit of heft is somewhat expected for a double jogging stroller, but it bears mentioning that this stroller is one of the larger, bulkier options. Not the best option for a non-jogger. While this stroller maneuvers well, it is built to withstand serious impact and higher speeds. Other, more lightweight or more streamlined options would be best for casual joggers and non-joggers. Lightweight jogging strollers are easy to fold and easy to stash. Meanwhile, a more compact design allows them to navigate store aisles, restaurants, and crowded venues easily. Lightweight strollers are a good choice for those who want their jogging stroller to double as their everyday stroller, or for those who have a larger stroller they like, but want a lightweight alternative for shorter trips. 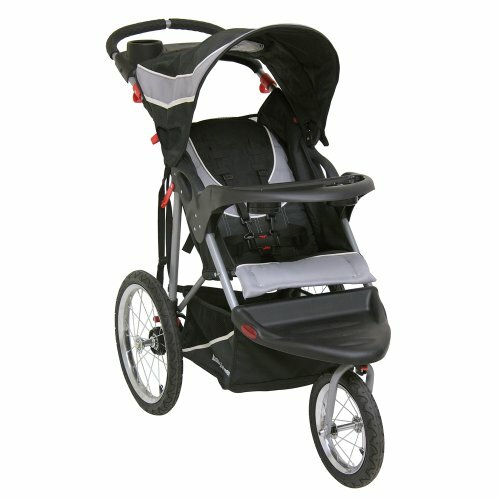 These strollers are best for those who walk and jog on level, smooth pathways. Weighing in at just 25.7 pounds, the Joovy Zoom 360 Ultralight is light enough to take along just about anywhere, but strong enough to hold a 75-pound child. An aluminum frame and pneumatic tires allow the Joovy to run smoothly over uneven terrain, while a streamlined design and quick-release tires allows it to fold quickly and compactly. A handy parent organizer allows you to stash drinks, a snack, or your phone within easy reaching distance. High riding seat. The Joovy Zoom 360 Ultralight features one of the highest seats, allowing your little one to have full visibility during rides. The seat is also adjustable, padded, and designed for optimum comfort. Efficient oversized sunshade. 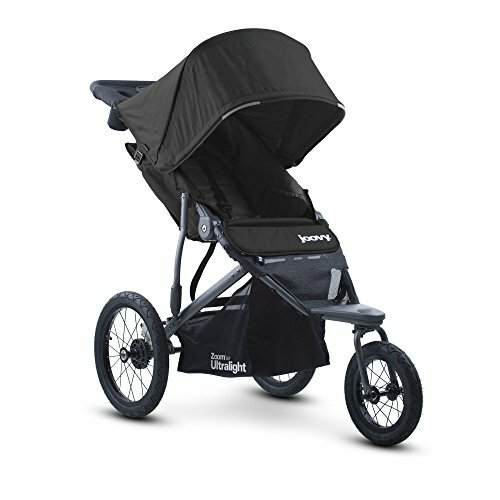 Many reviewers loved the sun canopy on this model, noting that it provided their child with great coverage. Straight rear axle. This addition allows for a straighter and truer run and extra stability. Narrow profile. This stroller’s slender profile looks sleek, and helps it fit easily in tighter spaces. High weight limit. The Joovy Ultralight can hold up to 75 pounds, although some users noted that the canopy position may make a child’s height an issue long before their weight ever is. Not everyone finds it so light. This is one of the lightest and most streamlined strollers on the market, and a number of users did find it easy to fold and fit into their cars. However, it is still a large stroller, and some reviewers struggled with the bulk of it and found it awkward to lift. Brake is difficult to maneuver. Several users noted that the brake levers were difficult for them to maneuver, especially in flip flops or sandals. Avid hikers and beachgoers don’t need to stick to paved, level roads once they have kids. Rugged, all-terrain jogging strollers are the perfect solution for those who want to take the road less traveled with their little ones in tow. All-terrain strollers tend to have sturdy, large frames, rugged, air-filled tires, high-quality shocks and efficient hand brakes. 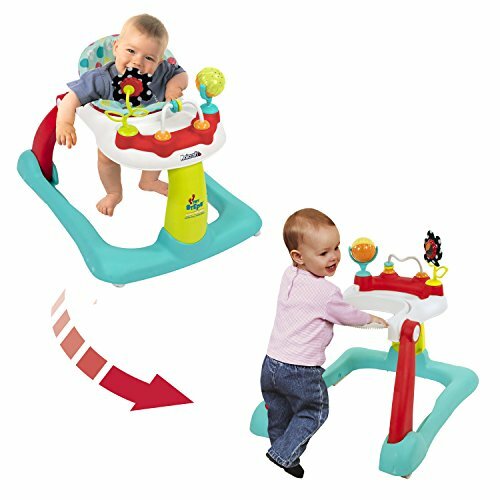 These features allow them to go over sand, gravel, grass and twigs with ease, and to navigate hills safely. The Bob Revolution SE doesn’t bill itself as a rugged, all-terrain stroller, but it’s the real deal. 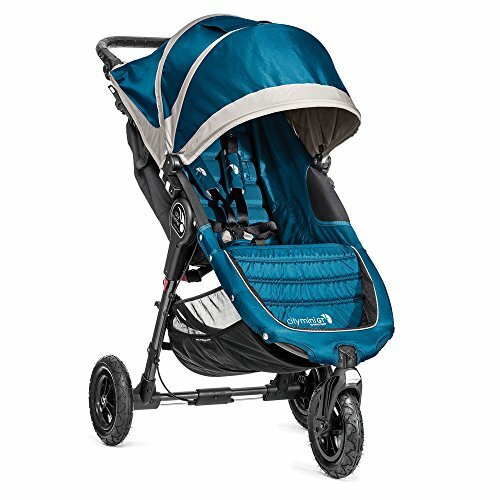 Numerous reviewers put this stroller through its paces, taking it on hiking trails, through sand, through snow, over uneven pavement, and over curbs. They also jogged untold miles with it, and washed untold amounts of dirt off of it. The consensus: this model can handle pretty much any terrain, and stands up to continuous rough use with more agility than many specialized all-terrain strollers. Highly maneuverable. According to reviews, this model glides over pavement, and is supremely easy to push - even when occupied by a large rider. State-of-the-art suspension. This stroller’s adjustable suspension system features two-position shock absorbers, which allows it to ease smoothly over uneven terrain. Built to last. Numerous reviewers noted that they put a great deal of wear on their stroller, sometimes over the course of several years, and it still held up quite well. It should be noted that going repeatedly over rough terrain will cause the tires to need frequent inflating, and potentially frequent changing. But, they are easy to remove and replace. Large and bulky. Perhaps it is to be expected with a stroller built for endurance, but several reviewers noted that this model was large, bulky, and difficult to fold. Other reviewers did seem satisfied with the size and weight, so this issue may be just a matter of expectation and perspective. Not ideal for use as an everyday stroller. While some users happily used the Bob Revolution SE as their only stroller, others felt it was too large to be easily used for shopping or running everyday errands. Small storage basket. Multiple users said they wished the storage basket was larger and easier to access. Short seat. Some users observed that the seat was short, and were concerned their children would outgrow the stroller too quickly.